This mod separates Elle's hair colors from her electricity colors, as well as the white of her hair from the white everywhere else on the sprites. Players can now edit Elle's hair and electricity colors separately in the Color Editor with the three new color slots. The added color slots are for the hair, which can be edited without having to worry about the white in her hair ruining any chance of dark hair color. There may have also been some fixes for a couple of knife attack sprites that didn't have her fishnet leggings on, but that's probably the only change I have done aside from the color editing. 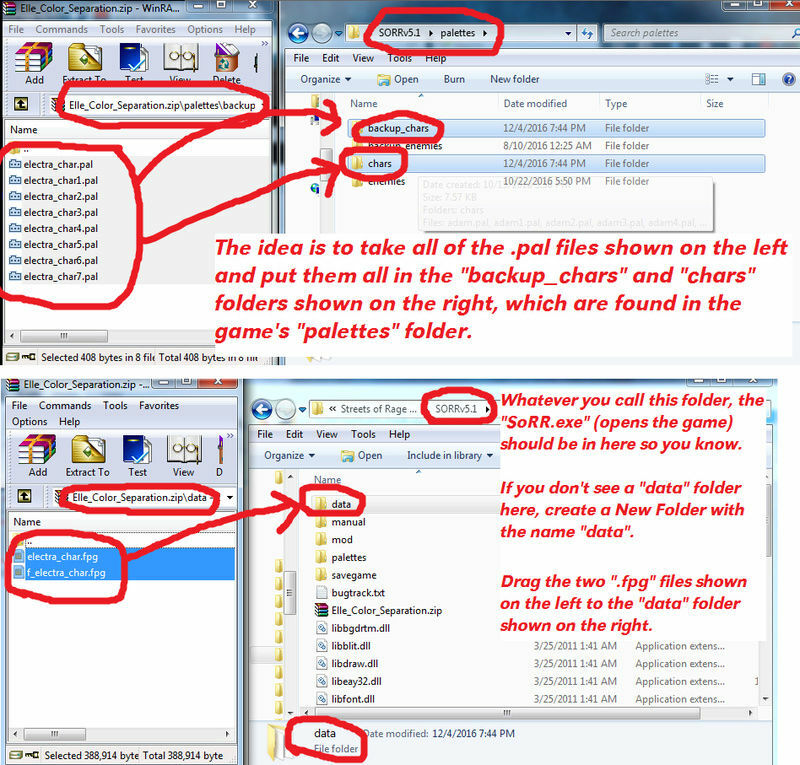 Method 1: If you are able to merge folders, just place these data and palettes folders in the SoRRv5 folder where you run the game. 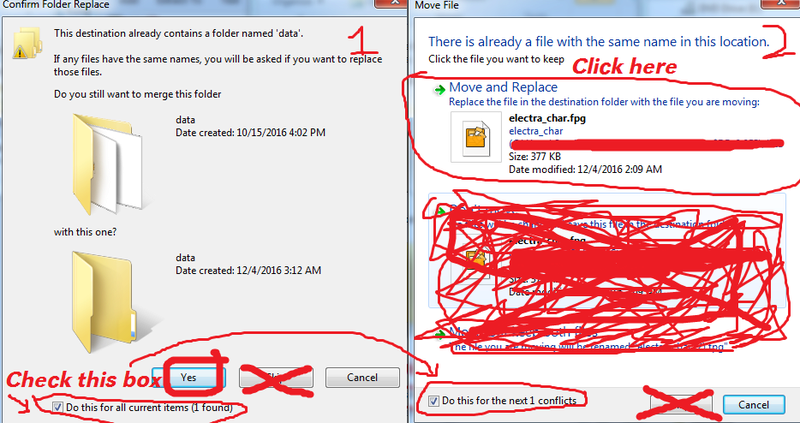 Alternatively, you can follow Method 2. 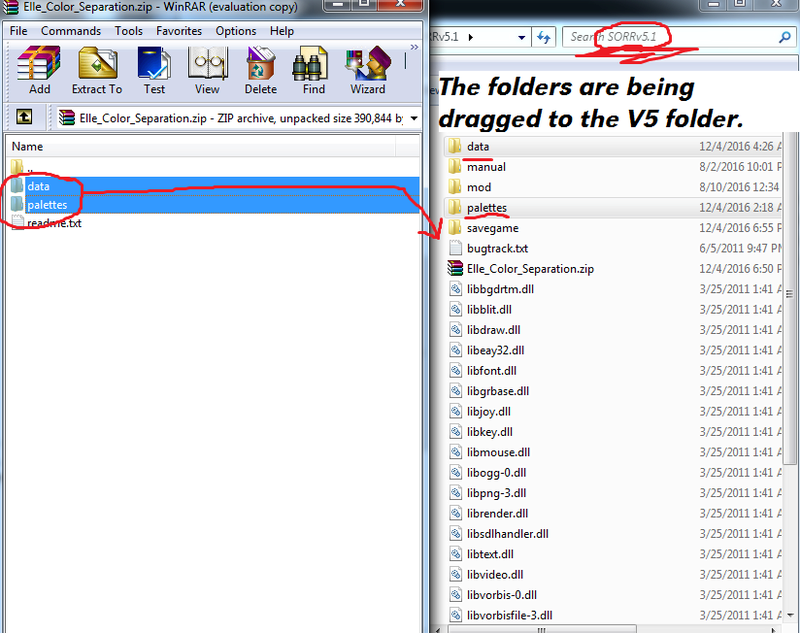 You should make backup copies of your own data and palettes folders before doing this. Do not do anything right away if you don't yet understand what to do. Feel free to private message me or post in this topic any questions about this mod and how to use/install it. No changes were made to alter Elle's gameplay (control points, collision, damage, etc.) in any way. No sprites were added to or removed from the character. This release is solely a graphical mod. Updates are possible for the future.